Go to "My Account" in our top menu bar . Then click on " reorder design" . 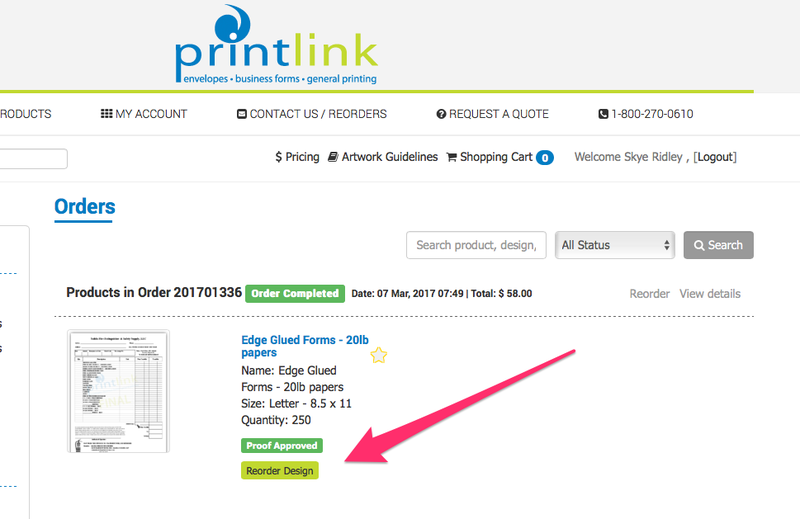 If you don't see "reorder design" then your previous order is stored at our old website. We were unable to transfer passwords/order history/artwork do to encryption to this new website. We will be re-entering repeat orders for you as they are placed. All artwork and order history from our old website is still stored on our servers. You can link here to our old website to reference your order history and artwork . To access this site enter your existing user name and click forgot password to reset. 1. Fill out the form below - direct your message to "Sales" , include your previous job number if you have it. 2. In the "message" field let us know a quantity and if you want any changes to be made. 4. An order confirmation and a payment request will be sent.